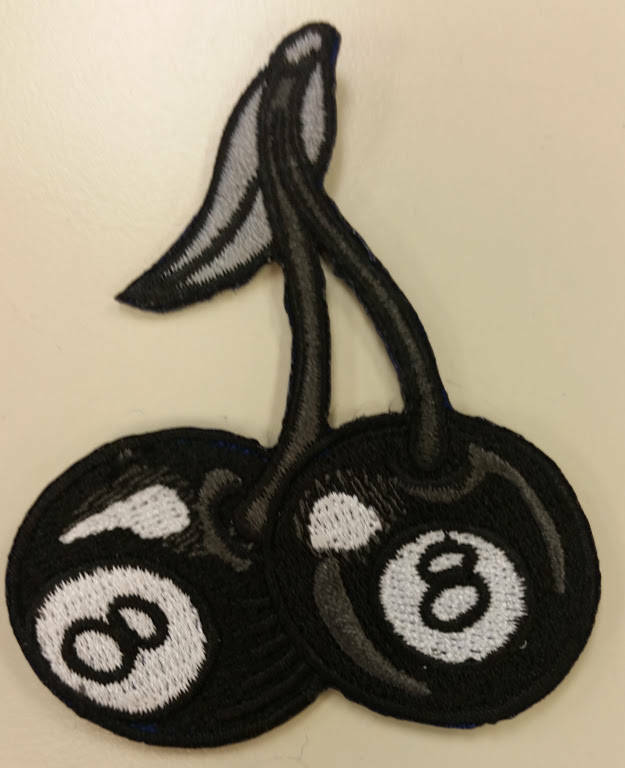 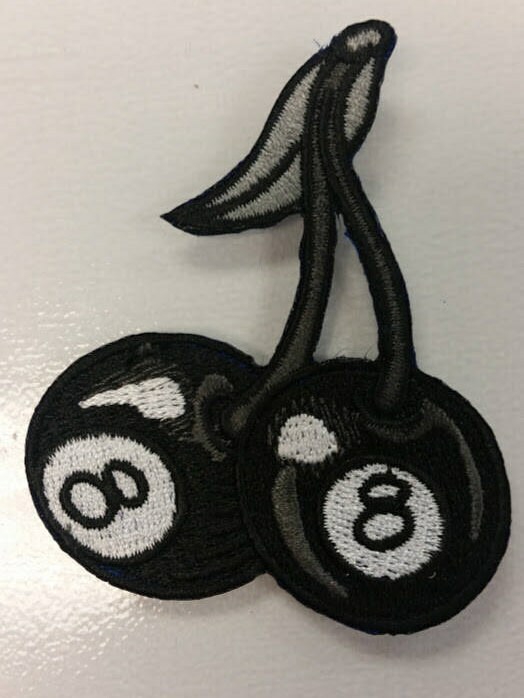 Check out this fun billards eight balls in the form of cherries. 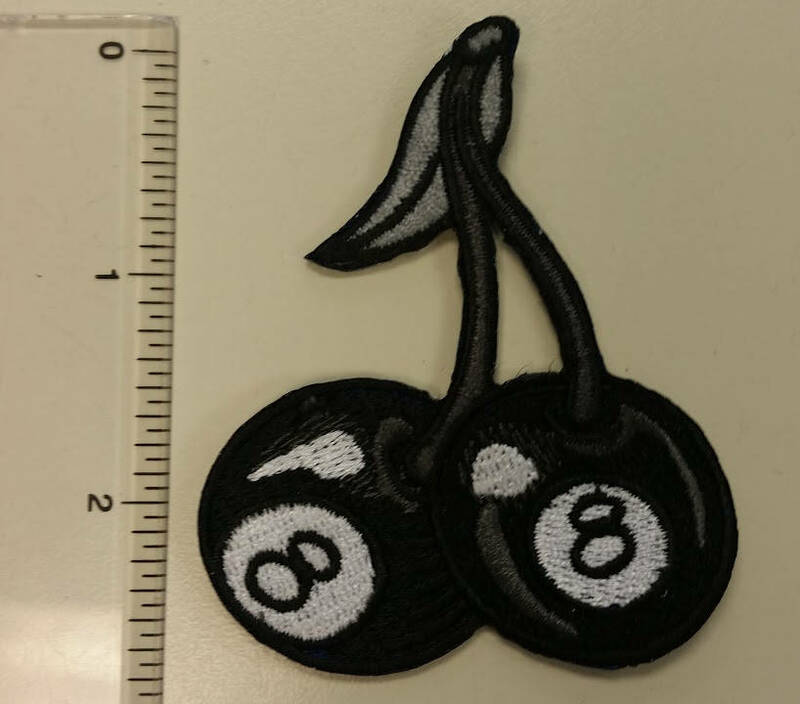 This patch is embroidered with black, white, grey and charcoal thread and has an iron on adhesive for easier application. 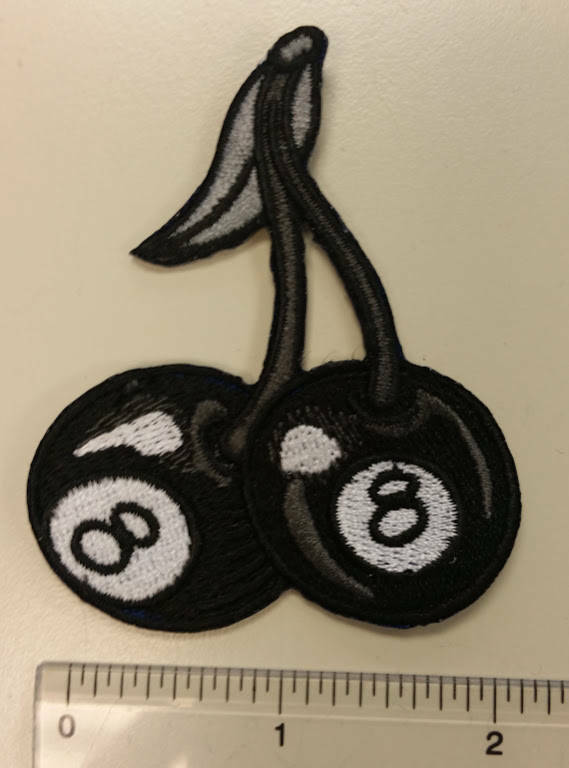 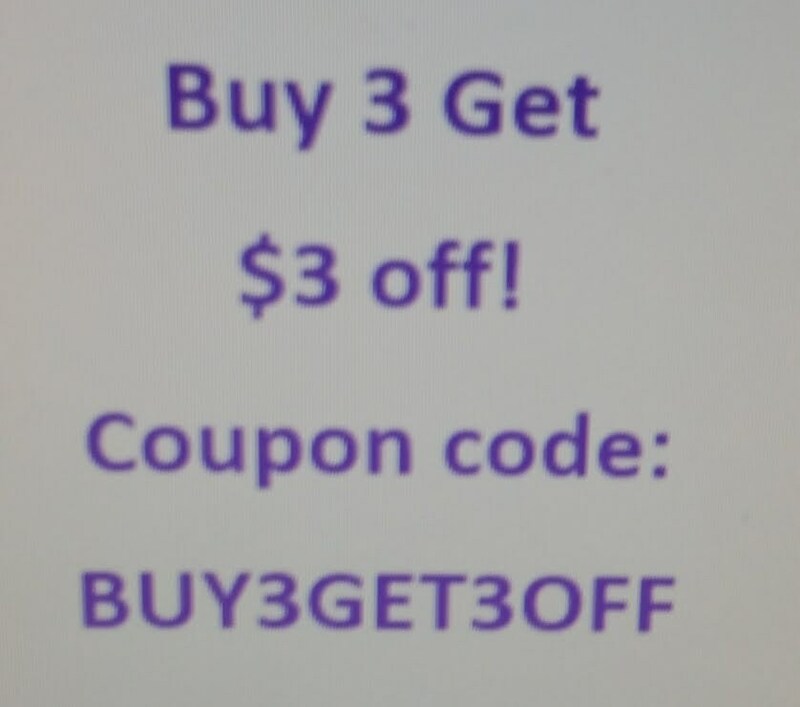 It measures approximately 2"W X 2.5"H. Check out some of my other patches and decals to combine with this patch and save on shipping.